Our mission is to provide the local business owner the tools to succeed in the cleaning industry in a way that’s ethical, eco-conscious and fair all the way across the board. The Maids by Trade team works with you in the development of these key highlights of your business. Maids by Trade has grown over the years to its current standing with our clients, franchisees and affiliates with an innovative approach to conducting business. It's implementation of a unique system makes Maids by trade a leading cleaning brand. 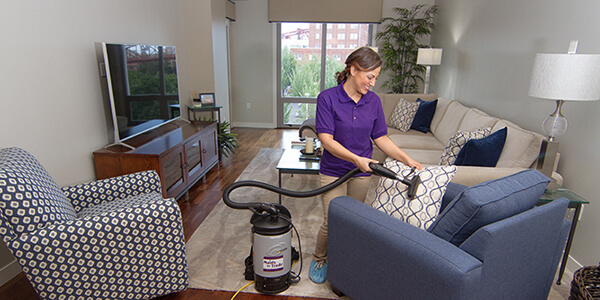 It’s not just about the cleaning method, it is the mindset within the Maids by Trade family across the board; the effort to remain a green company, a family-like work environment, the ever-present effort to safe-keeping our client’s property, the business ethics and how we conduct business, and more importantly, our team’s safety. We offer three types of franchises: Basic, Optimal, and Metro. The initial Franchise Fee for a Basic or Optimal franchise is $4,495. If you are converting your existing business to a Maids by Trade franchise, the initial Franchise Fee is $2,995. The initial Franchise Fee for a Metro Franchise is $9,995. If you are converting your existing business to a Maids by Trade Metro franchise, the initial Franchise Fee is $4,999. Maids by Trade is a business model with nearly two decades in the making; we strive to stay current by updating, retraining and keeping up with new trends and technologies. These efforts aim at keeping the Business Model current. We offer great franchise support, and it includes virtually every aspect of sales development, cost control, record keeping, computerized systems and operational management. Our goal is simple: to assure that you and your team thoroughly understand how to acquire, service and retain customers to grow the sales and profit of your business. The Maids by Trade brand is under the direction and supervision of house cleaning professionals. That means we understand the unique needs of our franchisees and we know how best to meet those needs in a timely manner. It means we have a platform for testing new systems, new products and new procedures, which then are passed on to you. 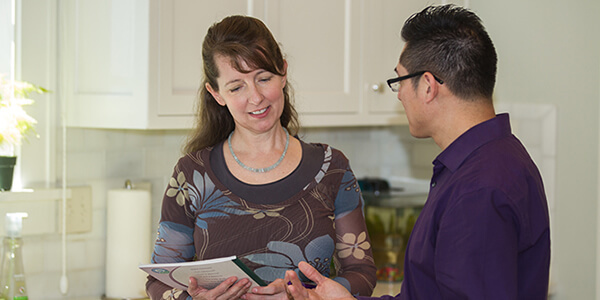 Our franchisees can get support with a quick call or email from our expert advisers. Fortino Barajas, owner and founder of Maids by Trade puts his house cleaning franchises available to new entrepreneurs. Fortino is a dedicated family man who started his cleaning service grass-roots style—from his garage in Portland, OR, in 1997. He believes a Maids by Trade franchise is the top choice for others wanting to run their own business. Maids by Trade changed Fortino’s life and he hopes it offers others the same opportunity. Fortino believes in the importance of helping other entrepreneurs make their dreams come true by facilitating the ownership of locally-owned house cleaning franchises, rather than turning Maids by Trade into a massive corporate entity. This unique approach facilitates a great opportunity for new entrepreneurs and current business owners wanting to convert their business and get some relief in their daily operations. No matter the situation, cleaning businesses thrive with the Maids by Trade brand. Everyone at Maids by Trade is a professional. Fortino has created training programs for the company’s new recruits—from safety, cleaning, sales, quality control, and others—all done at the company’s headquarters. He often provides training on eco-responsibility and keeps up-to-date on healthy cleaning practices as well as the latest on green technology and techniques. A Maids by Trade’s franchise is for the hard-working individual who is independent, reliable and trustworthy. We are looking for individuals who are ready to take the opportunity to have their very own Maids by Trade cleaning business. Preferably those that currently manage or run similar types of businesses. Focusing on those that have the following skills or characteristics: Outgoing, Leadership, Independent and Self-motivated. If you’re up for the challenge, we’d love to welcome you to the Maids by Trade family. Let’s work together on your new business and take advantage of a rewarding and successful business model. Fill out the form today and start living your dream! Maids by Trade is currently accepting inquiries from the following states: Alabama, Alaska, Arizona, Arkansas, Colorado, Connecticut, Delaware, Georgia, Idaho, Iowa, Kansas, Kentucky, Louisiana, Maine, Massachusetts, Mississippi, Missouri, Montana, Nebraska, Nevada, New Hampshire, New Jersey, New Mexico, Ohio, Oklahoma, Oregon, Pennsylvania, South Carolina, Tennessee, Texas, Utah, Vermont, Washington, D.C., West Virginia, Wyoming.